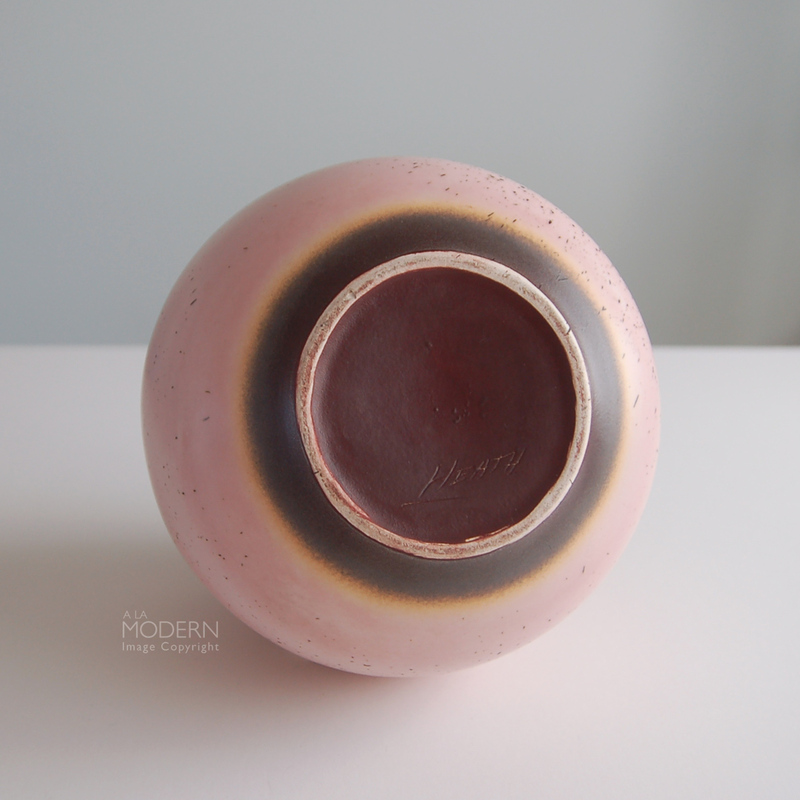 A wonderful, round pottery vase attributed to Edith Heath of Heath Ceramics fame. 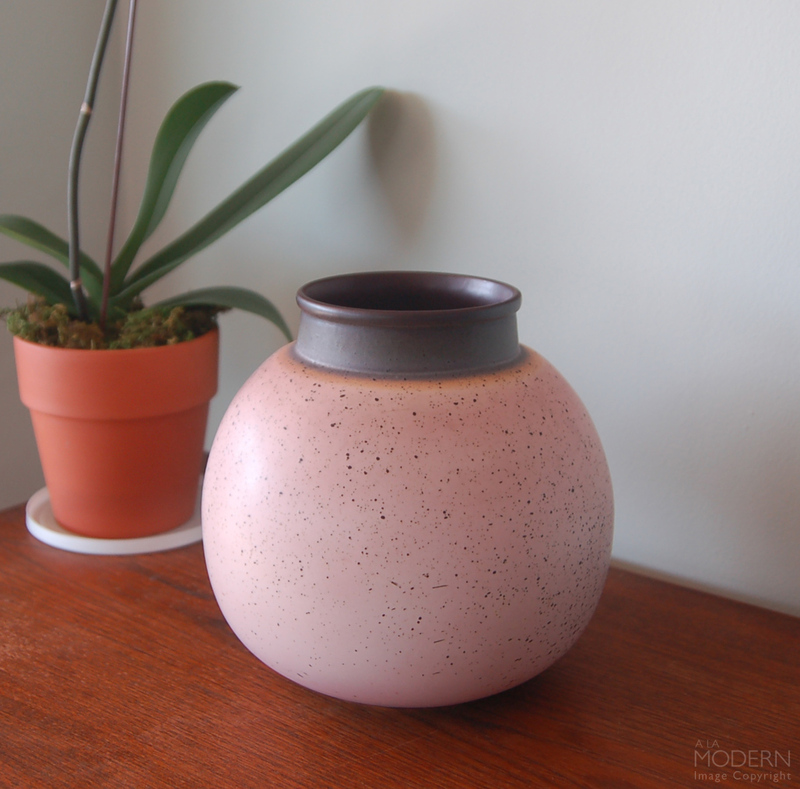 We have always been curious about this line, which is clearly incised as "Heath" on the bottom. These pieces also appear in Jack Chipman's California Pottery Scrapbook (page 211), and while he states that the attribution is inconclusive, the recent general consensus seems to be that they are indeed associated with Edith Heath, and likely from the 1960s. 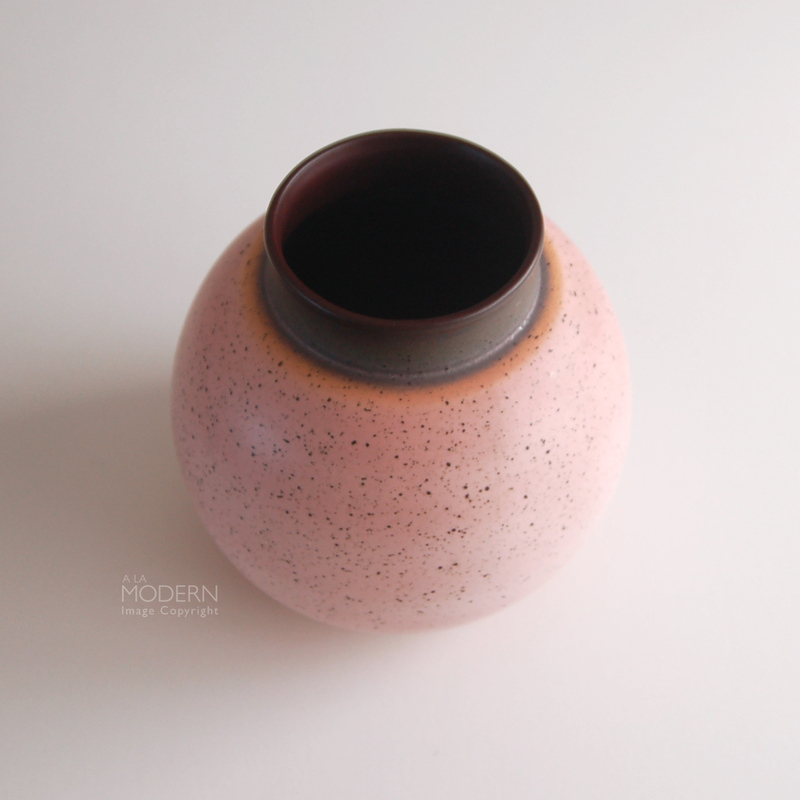 Light rosy matte pink glaze with heavy black speckling on the sides, and darker brown glaze on the top rim of this round ball shaped form. 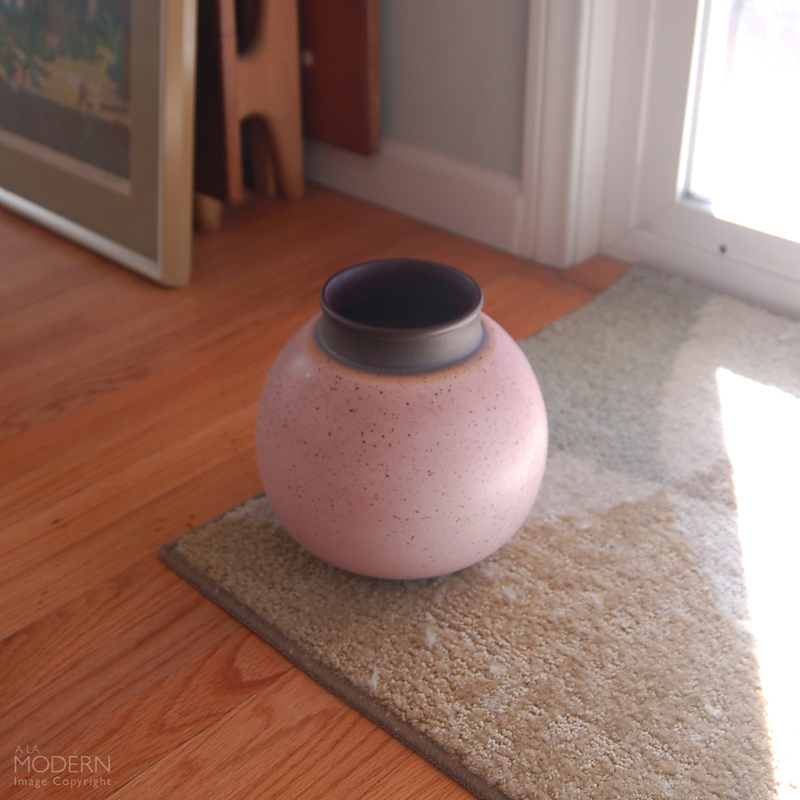 We've seen it come in either this pink color or a light blue, with different forms - mostly vases and bowls, though. 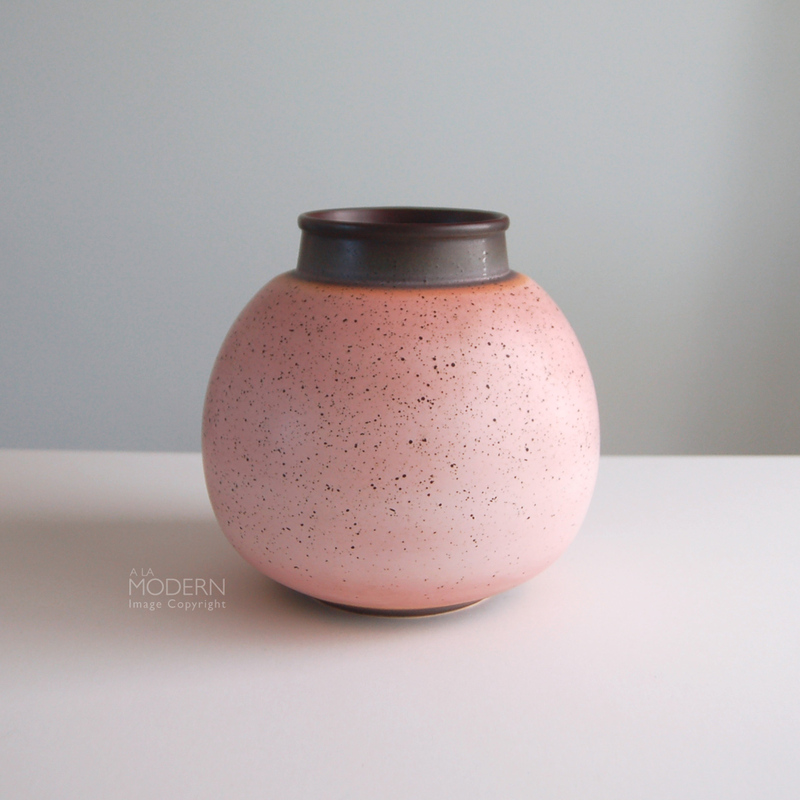 Would make a great addition to a Heath collection, and would look great displayed with other mid century pottery. Marked on the bottom. In good condition with no cracks or chips. A few light scratches here and there. A bit of roughness on the bottom foot. White deposits and usage marks on interior. 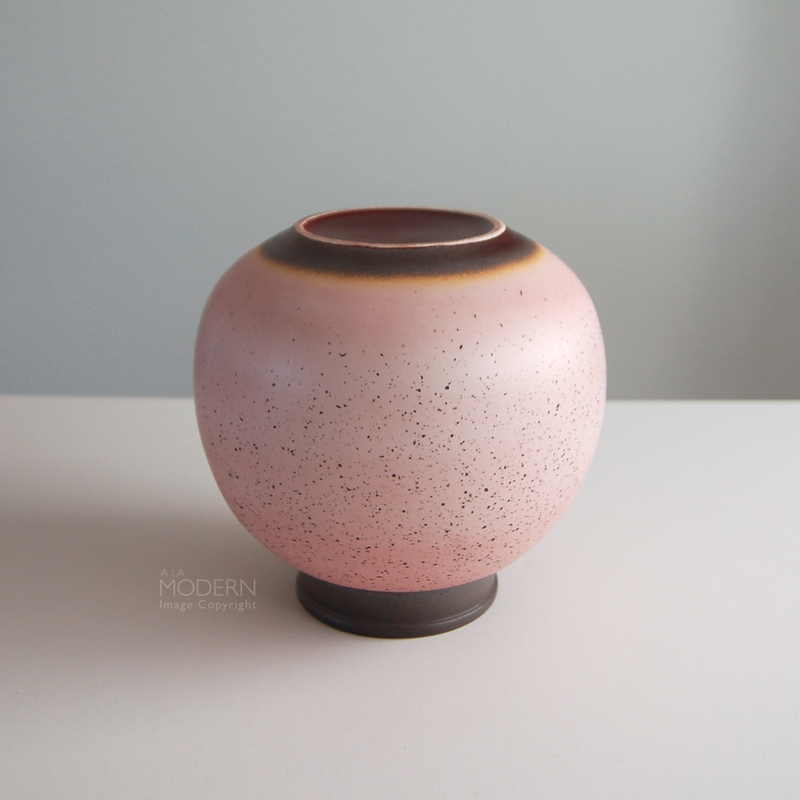 Measures about 7 1/2 inches tall, 4 inches wide at top, 7 1/2 inches at widest point.